Brussels, Belgium, 6 June, 2018: A panel discussion hosted by CTA in Brussels yesterday highlighted access to appropriate technology, skills training, engagement with the private sector and gender sensitive ICT policies as critical areas to tackle if we are to improve women’s access to ICTs for agriculture. Gender disaggregated data on access to ICTs was also highlighted as a key means to make the case for stronger investment and create an enabling environment for women. Increasing access to ICTs, will, panellists agreed, increase employment opportunities, food and nutrition security. 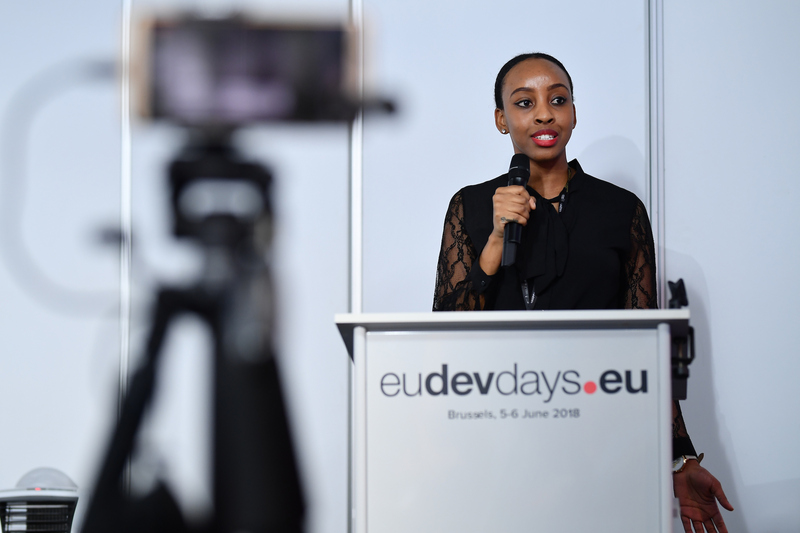 The panel discussion “Going Digital: Sustainable Development in Agriculture for Women” was held during the European Development Days (EDD) 2018 organised by the European Commission in Brussels. The panel addressed the considerable challenges that the rural digital divide presents, and how the problem is even more acute for women who face a triple divide: digital, rural and gender. Together with the audience, the session celebrated some of the initiatives that strengthen women’s voice and participation in the digitalisation of the agricultural supply chain. The examples presented, such as mAgri, Agrinfo, Women in Business Development, foster rural women’s awareness and access to ICT across the agricultural supply chain, empowering them to be change-makers in their communities and improve livelihoods. “The value of supporting women in agriculture is known and proven. It is time to move on beyond the studies, and to start working with EU partners to scale-up and expand successful approaches,” said Linda McAvan, panellist and Member of the European Parliament. In closing Chris Addison of CTA highlighted the need to move to action and scaling up some of the successes showcased during the panel. Private sector partnerships he said are critical, as is the need to engage at the family level – addressing and challenging gender norms that have restricted access to ICTs. Addison thanked the panellists and audience for a variety of complementing perspectives that he said made a powerful business case for promoting equal access to ICT in agriculture.